PROUD ANTIGUAN! Tameka Wharton, sales and marketing manager for the Antigua and Barbuda Tourism Authority. Photo courtesy of Tameka Wharton. When it comes to learning about Antigua and Barbuda, Canadian travel agents are in good hands with Tameka Wharton on their side. After brief stints working in finance, human resources and teaching, Wharton (who is also an acclaimed vocalist) pursued an opportunity in tourism almost ten years ago and hasn’t looked back since. 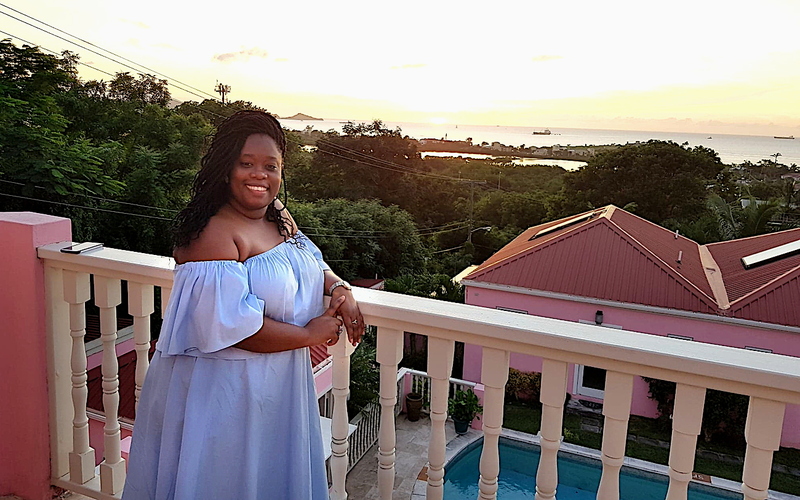 As sales and marketing manager for the Antigua and Barbuda Tourism Authority, Wharton spends her days building relationships with Canada’s travel trade – one phone call, email and Facebook message at a time. Here, PAX checks in with the Toronto-based Antiguan to chat about the first time she saw pink sand, her travel pet peeve and how bringing fried chicken on a plane can win you friends. PAX: How did you get into the travel and tourism business? 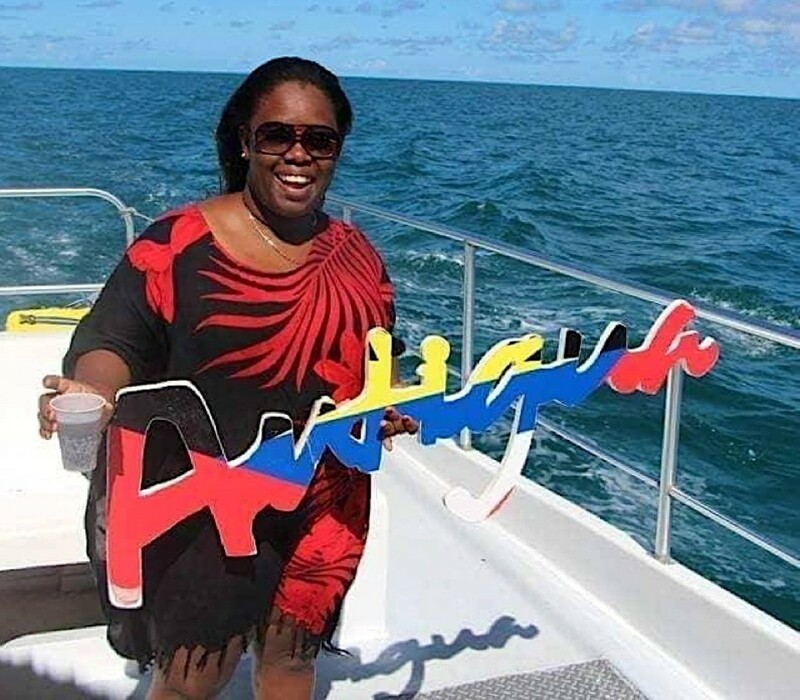 Tameka Wharton (TW): The main industry of Antigua and Barbuda is tourism. A lot of focus is placed on hospitality and most jobs there are connected to this sector. It seemed like a natural fit for me. Since joining the industry, it has become part of me. It’s something I live and breathe. TW: Noise cancelling earphones, my cellphones and Vitamin C.
TW: I’m bias, but the V.C Bird International Airport in Antigua is my favourite because it’s mine! A brand new state of the art terminal opened in 2015 and it has duty free shopping, an executive lounge and fast-track service. It’s very easy to feel like a VIP there. TW: My favourite vacation was to Barbuda with my Mom and siblings for Christmas when I was about seven-years-old. This was the first time I saw pink sand (which Barbuda is known for). I had never seen this before and thought it was a miracle of some kind. TW: I typically don’t spend a lot on one thing, but I once bought a very expensive perfume set in London, UK. PAX: What’s your most memorable food/meal you ever eaten on a trip? TW: I am not a big foodie. Give me a good bowl of goat or conch water (hearty stews) and I am fine. TW: When people aren’t considerate on planes and talk loudly and openly, subjecting everyone else to the conversation. I don’t think it’s hospitable. We’re in the air – it’s not like we can walk away from it. We have to be kind to each other’s personal space. TW: When I am doing my cross-country trade engagements in Canada, my preference is carry-on. We usually hit the ground and head straight into events after a quick change, so there’s no time to wait on bags to come. However, when travelling internationally, I prefer a checked bag. TW: I was on a flight from Toronto to Antigua when a sweet senior Antiguan lady walked on. Her seat was behind mine, next to a couple from Quebec. In classic Antiugan and Barbudan fashion, the lady informed the couple that she had woken up early that day to make fried chicken and rice and would be happy to share some. At first, the couple kindly declined…until they got a whiff of the chicken after the lady opened her container. Soon, all three had pieces of fried chicken and a bowl of rice in front of them. They were having so much fun and everyone, eventually, fell asleep with their heads resting on each other (the senior lady had also noticeably moved from her aisle seat, to the middle, and was now in between the couple). When we reached Antigua, the Quebec couple gave the lady their contact, with an open invitation to Quebec so she could cook for them. It was Antiguan and Barbudan hospitality personified. PAX: What advice would you offer to people getting started in the travel industry? TW: Ensure that travel is actually your passion from whatever angle best represents you. Don’t get lost in other person’s roadmap to success. Trust your journey. PAX: What’s one thing travel agents should know about Antigua and Barbuda right now? TW: The Antigua and Barbuda Tourism Board will be hosting our first Top Sellers FAM from December 9-12th. Agents are encouraged to log all their bookings for 2017 on www.antiguabarbudata.com. Invitations will be sent to the top producers. These bookings must be logged by November 9th.